Just noticed a few days ago that the Event Calendar isn't highlighting future events for which I've logged a "Will Attend" (see image below). I thought the date squares would be green if an event on that day had been logged as "Will Attend"? 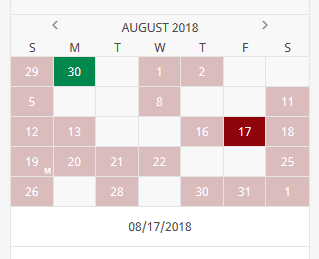 The past dates where I've logged an "Attended" are showing as green, but that doesn't help much with planning. I logged a Will Attend on 8/17/2018 for an 8/18/2018 event. I logged a Will Attend on 3/26/2018 for an 8/19/2018 event. I logged a Will Attend on 10/14/2017 for a 9/30/2018 event. Same behaviour here. I logged a Will attend almost a month ago for an event tomorrow, but the 18th isn't green. I'm also still not seeing the closest Mega/Giga, of which there several tomorrow. All I can see are the three closest regular Events. To update my OP, which I posted before the weekend. 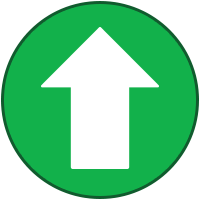 I'm now seeing that events I've logged as Attended are not showing up as green. 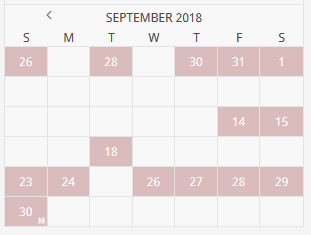 I attended some events this past weekend and logged "attended" for events on both 8/18 and 8/19, but those date squares still appear as pink on my Dashboard's event calendar. Not sure if it matters, but I submitted the 8/18 Attended log and the 8/19 Mega event Attended log live via the official app. I submitted the 8/19 regular event Attended log through Drafts via the website. Thanks for reporting this. We have notified the engineers and hope for a fix soon. Today was the first time I checked on this since I posted the OP last month. It appears that this bug has been squashed. I'm seeing green squares for past dates with "Attended" logs and future dates with "Will Attend" logs. Thanks!